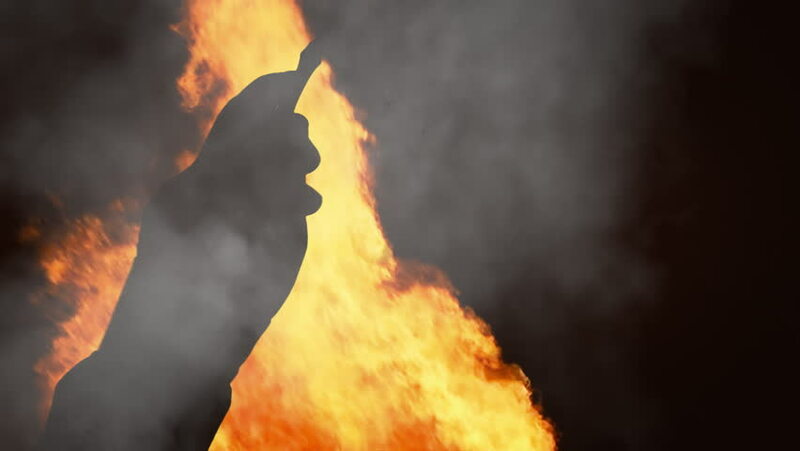 Silhouette shot of the hands of the conductor of an orchestra over fire flames. hd00:16Fire from a big burning campfire, with high flames. The flame pit is made of old wooden branches, the crackling trail is smooth over the black of a dark night. Real footage. The wind bends the flames. 4k00:08Tongues Flame of a Large Fire in the Evening against the Sky. Hot orange fire. Big Campfire of the Branches Burn at Night in the Forest. Embers of the fire climb up. The heated coal beautifully.